In a first for audiences, music-lovers have a chance to experience the ‘Songs and Times Of Sam Cooke’ in the magnificent concert experience ‘A Change Is Gonna Come’ starring Gary Pinto. Considered one of the most influential songwriters of all time, Sam Cooke has an incredible legacy. His music still sells US $5 million a year, even more than five decades after his death. He has been inducted into the Songwriter’s Hall of Fame (1987) and the Rock N Roll Hall of Fame (1988), received a star on the Hollywood Walk of Fame (1994) and was awarded a Grammy Lifetime Achievement Award (1999). 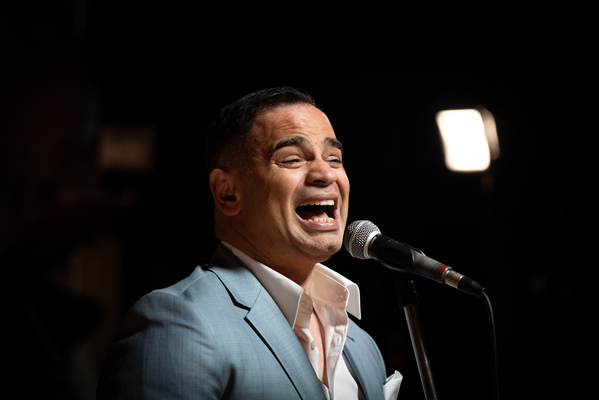 ‘The Songs & Times Of Sam Cooke – A Change Is Gonna Come’ will see revered Australian singer Gary Pinto traverse the biggest hits of Sam Cooke’s career in a special stage show written by acclaimed theatre director Greg Carroll. Produced by Melbourne Creative Music Company, the limited season will tour throughout Australia in January and February. Backed by the six-piece band The Champions of Soul, the show embodies the spirit of Sam Cooke’s beloved concert at the Harlem Square Club from 1963. 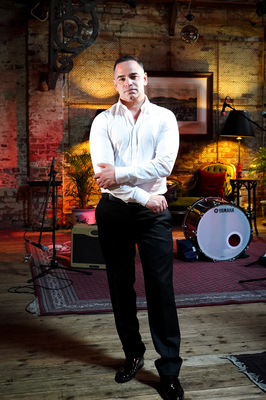 Gary Pinto is an ARIA-award winning and multi-platinum selling recording artist. Part of the wildly successful R&B group CDB in the 1990s, who were considered pioneers of R&B within Australia, he is revered by his peers. Internationally recognised, he has received nods of praise from the likes of Smokey Robinson and Stevie Wonder, and even performed at Stevie’s daughter’s 16th birthday party on invitation. He has penned songs for the likes of Jimmy Barnes, Guy Sebastian, Anthony Callea, Christine Anu and American soul singers Janiva Magness, with whom he co-wrote a song from the Grammy-nominated album Love Wins Again, and Taylor Dane to name a few. For the past six years he worked behind the scenes on X-Factor as the television series vocal director and is currently touring in Jimmy Barnes’ band. Being asked to perform the music of Sam Cooke was something of a dream come true for Gary, who cites the legendary singer as one of his biggest influences as a singer. “He is like the Godfather of soul music,” Pinto said. ‘Songs and Times Of Sam Cooke – A Change Is Gonna Come’ will explore the interesting, uplifting and sad life of this legendary performer, and showcase the music that still lives on today. It’s being performed across the country, including at the West Gippsland Arts Centre, Warragul on Saturday 16 February 2019. Tickets can be found at www.wgac.com.au.